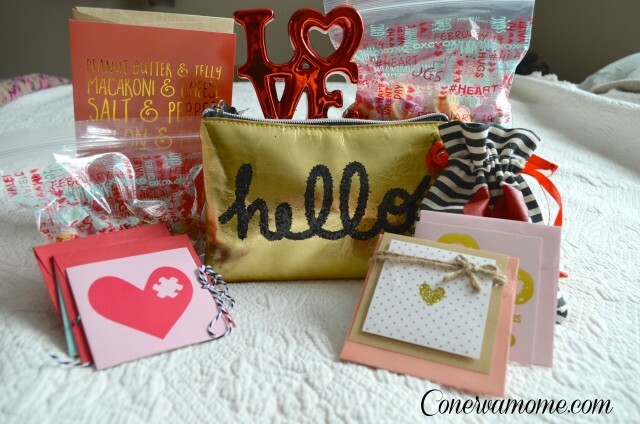 Disclaimer: Although I received these gift wrapping products free of charge from All in the Cards to help faciliate this fun Ways to Wrap a Valentine Tutorial. All opinions are entirely my own. Oh, Valentines Day. As a child I dreamed of a someday romance, as a single college student I loathed it, as a newlywed I was giddy over it, as a woman in 2017 I am jumping at the chance to spread as much love and kindness as possible. There are so many types of love. Love of family, love of friends, love of sushi…you get the idea. 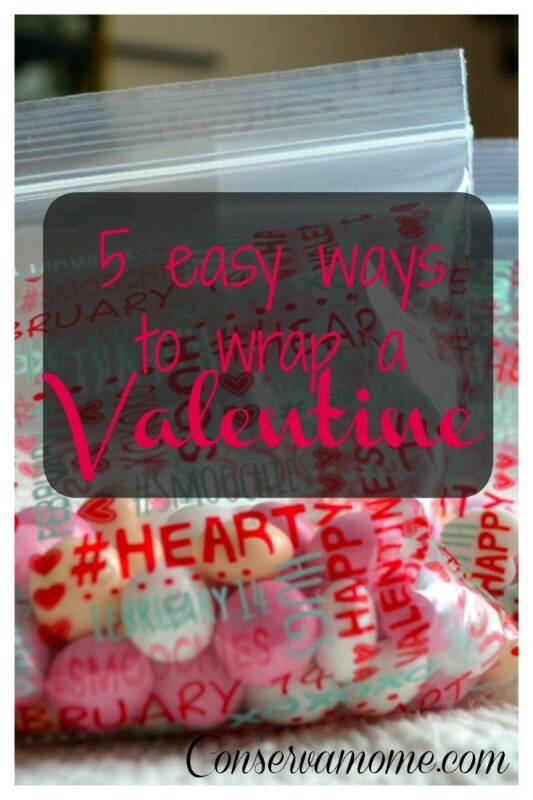 Check out these 5 easy ways to wrap a valentine for everyone on your list. The best part is you can find all of the products pictured at Wal-Mart and Target for less than $5 each. Easy. Cute. Your kids can help. 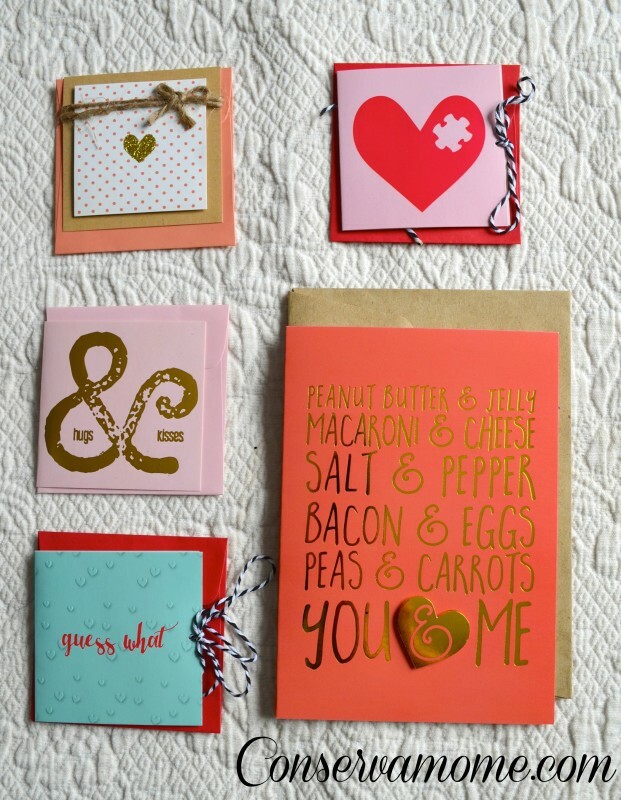 What more could you want from a Valentine sursy that must be mass-produced? You can fill them with candy to hand out at your kid’s school, dried fruit for your office mates, or dog treats for the local shelter. 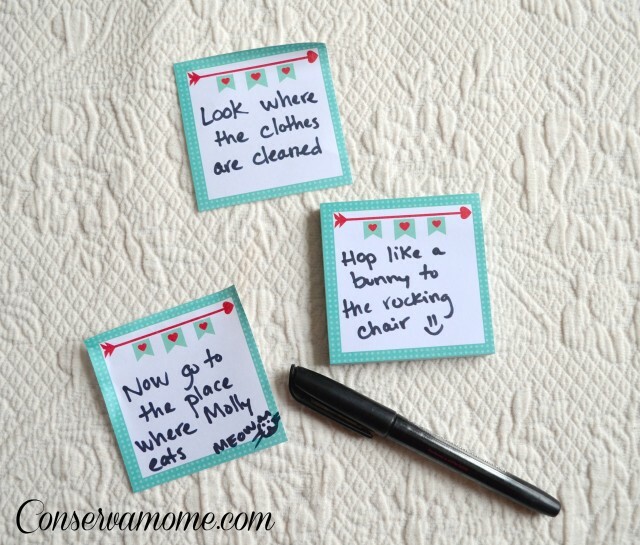 Write clues for a scavenger hunt and hide them around the house. Make the clues easy and innocent for your children or make them cryptic and racy for your spouse. If they have to run all over the house to get their gift you don’t even have to formally wrap it. I love this idea for my closest girlfriends. 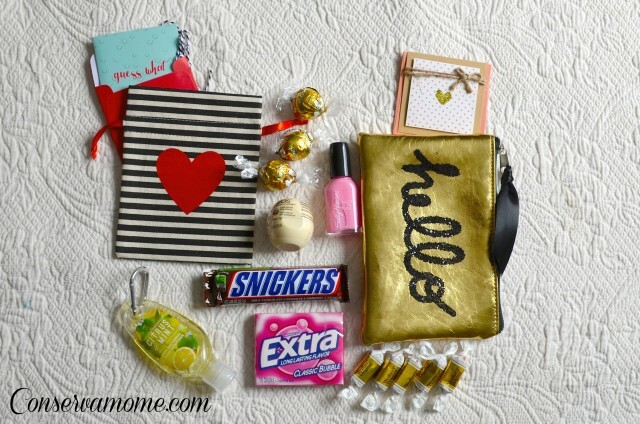 A reusable pouch stuffed with pampering goodies and chocolate is something every Mama will love. Once the treats are gone the adorable bag can be used for weekend make-up, jewelry, or a cute Mommy clutch to throw in the diaper bag. Yes, it’s an old standby but seriously, who doesn’t like to get a handwritten note from someone they love highlighting their most lovable qualities? Tell your mom you’re thankful for all she did (and still does) for you. Tell your husband how good he looks in jeans. Tell your kids how great they are. Tell your friend that she is doing a great job mothering her brood. The possibilities are endless and the results are priceless. I treasure cards that come from the heart and I bet your loved ones will to. Plus, these are insanely cute and come in mini and full size versions. You can’t wrap this one but it could be one of the most thoughtful. Do something for someone else. Do you know a new mom? Go wash her dishes. Have an elderly neighbor? Grab your kids and go shovel snow. Know a local food bank that needs help? Take your kids shopping for canned goods. 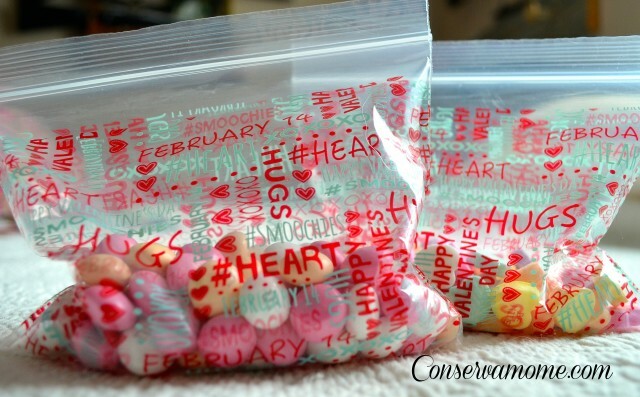 We all know that actions speak louder than words so show love by actively doing things for others (but you could bring along a decorative zip-top bag full of sweets too). 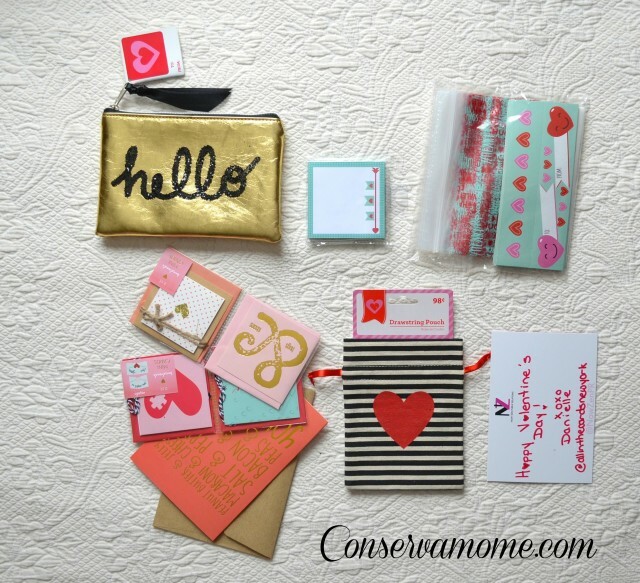 For even more inspiration check out All in the Cards complete line of trendy products at www.allinthecards.com. Don’t forget to get social with All in the Cards on Instagram for more fun ideas!